Amid all of the shortbread baking and de-cluttering, I went into a minor panic on December 23rd when I couldn’t find a bunch of gifts. I don’t know about you, but in the month before Christmas, I’m constantly squirreling things away into various hiding spots around my house. 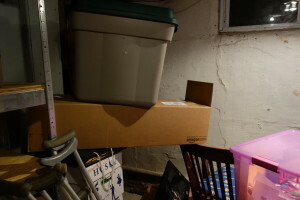 I might put a ton of thought into camouflaging something huge while the kids are away at school, grab an arriving package out of their hot little hands and tossed it up high, or wedge a shopping bag somewhere as I’m walking into the house. 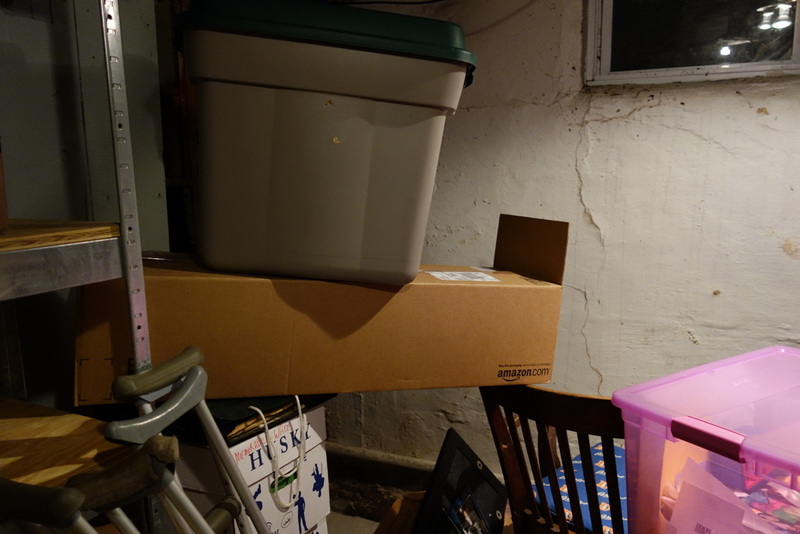 And then, at some point, I have to find all of that stuff again. A few days before Christmas, I wanted to wrap a present for each girl to put under the tree, but I couldn’t find M’s. And then I couldn’t the next day. Or the next day. In fact, on Christmas Eve Eve, it began to dawn on me that, along with M’s biggish one, I couldn’t find several other small presents. I checked all of my spots, and then Cute W checked everywhere, and then I checked it all again. I was progressing from bemused through stumped and straight into freaked. What the hell? Was I going to have to shop for this stuff again? It was too late to order from Amazon Prime! This was ridiculous. At this point, you might wonder why I hadn’t yet done what any normal, reasonable person who’s searching for something would do, and it’s kind of a funny story. Well, first of all, the normal, reasonable thing to do in this situation would be to pray to St. Anthony, the patron saint of lost things. St. Anthony and I go way back. When I mentioned this story to a sister, she recited a rhyme from our Grandma, which was something like Uncle Tony, look around/Something’s lost & must be found. 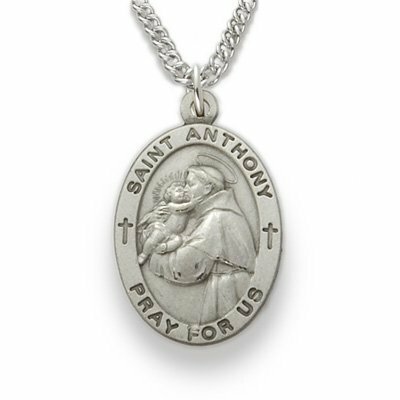 I grew up praying to St. Anthony when something was lost, and I still do it today (like when I lost my diamond). This always makes Cute W roll his eyes, because he doesn’t believe in, well, pretty much anything. In fact, one of my favorite vacation stories is when Cute W and I went scuba diving. On the boat out, he chatted up one of our guides. Among other topics, she mentioned that she’d just completed a special search-and-rescue scuba diving course. Forty-five minutes later, we were all underwater as Cute W gestured to his empty ring finger: in the ocean chill, his wedding ring had slipped right off. Our guide signed that she’d keep looking, and not much later she popped from the surface, triumphant. Cute W asked, “So, did you use any of your new search-and-rescue techniques?” as he slid the ring back on his finger, and she laughed: “Nope! I just prayed to St. Anthony!” I felt like high-fiving her. So, why hadn’t I asked Uncle Tony yet? Because I was expecting a St. Anthony medal to arrive at my house that very day. Yep: my nephew had asked for one for Christmas after his old one fell into the garbage disposal (note: he didn’t lose it, he just couldn’t reach it anymore). Knowing that the medal would arrive at any time, I felt like I should hold my prayers until I had the medal in-hand. Wouldn’t that make my prayer more powerful? It seemed like it. Hooray! The box was found and Christmas would continue on schedule! Thank you, Tony! The moment I saw the title, I knew what the article was about. While I haven’t followed any formal religion in over thirty years and doing so contradicts my current beliefs, I still call on Tony when all else fails! I really enjoyed the article! Thanks! Thanks for the memories! Next, please share the miracles of the Virgin Mary plastic statue. @Constance, thanks for commenting! Tony always works. And you’re right, @Big Sister, Mary deserves recognition for her powers, too.